It is for personal use only please. You can use this graphic to make tangible craft items, i.e. embroidery, applique, etc. 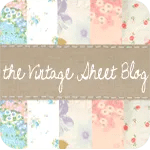 If you would like to use the graphic for something non tangible and digital in intent, such as for your personal blog, please contact me personally and we can discuss other options. I would love to see anything that you make with it! Feel free to share here on the blog or upload to the flickr group. Thanks for sharing the pattern AND the lessons! I’ve been wanting to learn hand embroidery for some time now but didn’t know where to start. 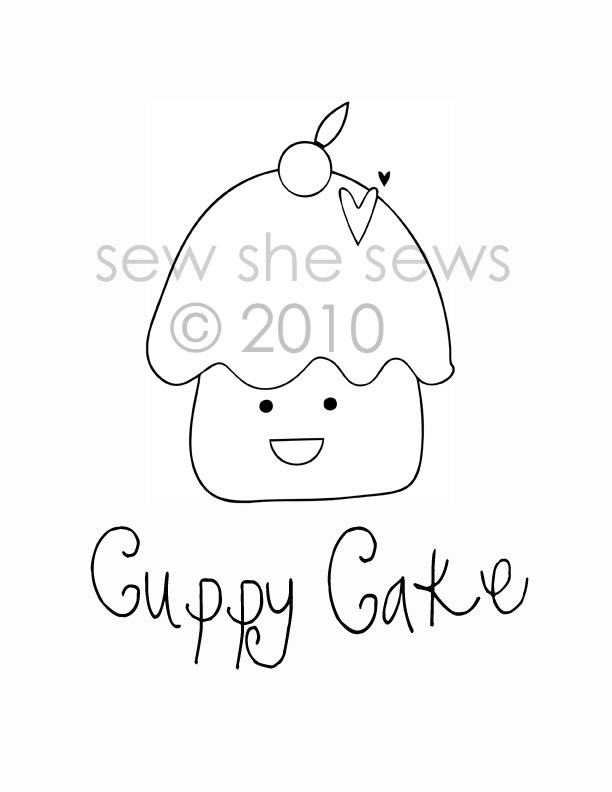 These little Cuppy Cakes are adorable!! I love your blog! 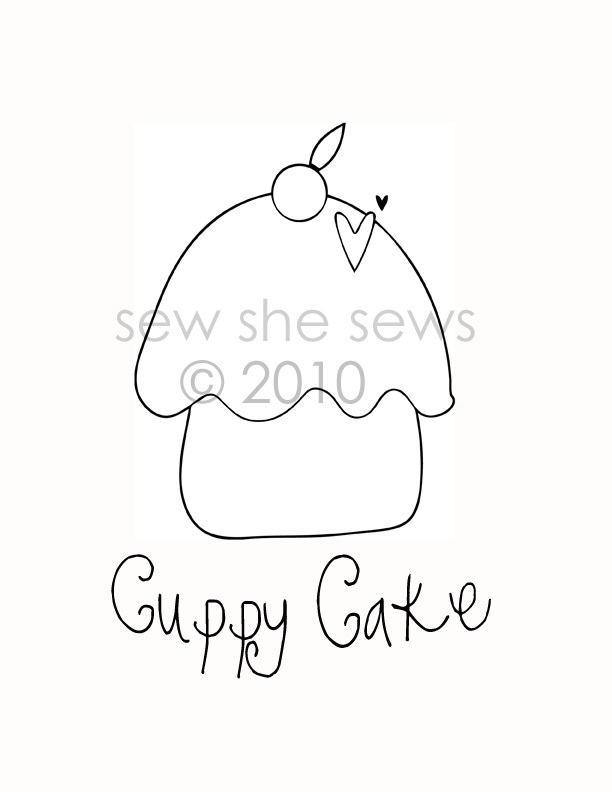 Super Cute Cuppy Cake pattern! Thanks for sharing. I have been wanting to learn this technique!